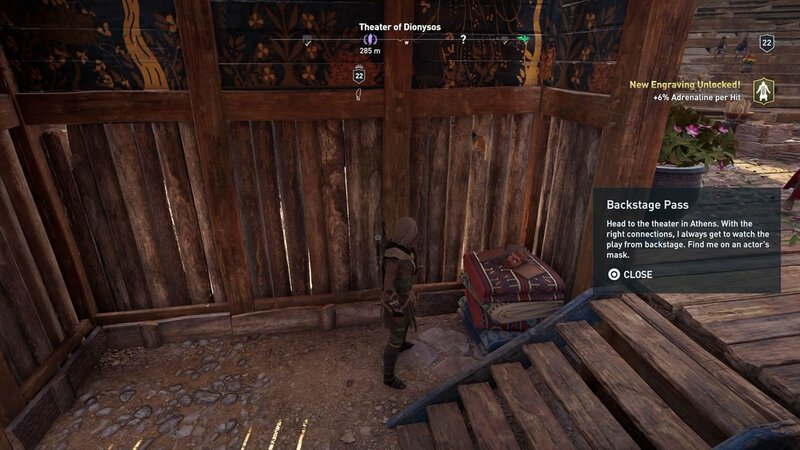 Clean up your act with our guide to the Backstage Pass Ainigmata Ostraka in Assassin's Creed Odyssey. 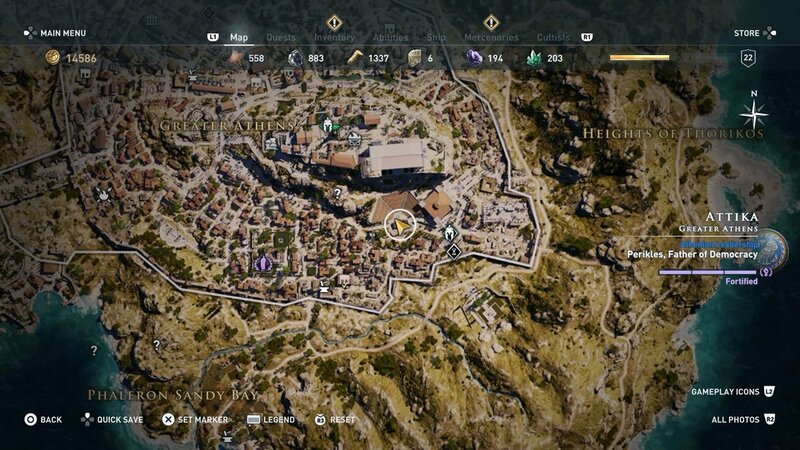 As you explore the isles of Ancient Greece in Assassin’s Creed Odyssey, you may come across the mysterious Ainigmata Ostraka riddles pointing you in the direction of some tasty treasure to earn. You’ll get no quest marker for these, meaning it’s up to you to hunt down the end spot for each. If you get stuck, you can always follow our guides instead. In this article we’re covering the Backstage Pass Ainigmata Ostraka, which is one of the easiest in the game so shouldn’t take you much time at all. Acting and Ancient Greece go hand in hand, but the clue in this case refers to the Theater of Dionysus in Greater Athens. If you’ve just found the ancient tablet, this should only be a short trip down the road. If you're picking this up later, the theater can be found in the southeast of the city and is highly visible as it looks like top half of a hexagon on the map. Enter the Theater from the southern, statue-flanked door and look for a pile of costumes near the steps up to the stage. We’re guessing this room doesn’t get used all that much as the mask mentioned in the riddle will be on top of the pile (how old are those clothes? ), and all you need to do is approach it and press the interface prompt.